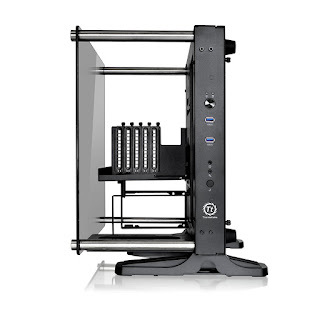 Thermaltake's wildly successful Core P family is now complete with the Core P1. 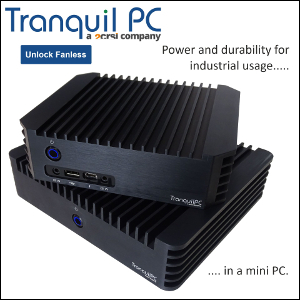 Despite its small size (422 x 332 x 380 mm, 16.6 x 13.1 x 15 inch) the Core P1 supports standard ATX PS2 power supply and CPU coolers up to 170mm. 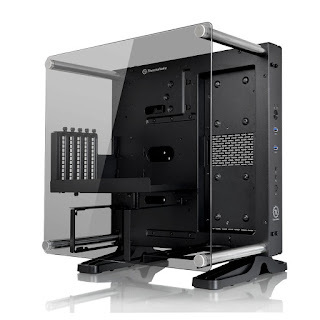 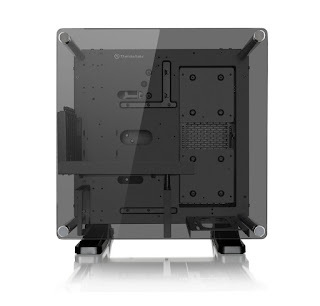 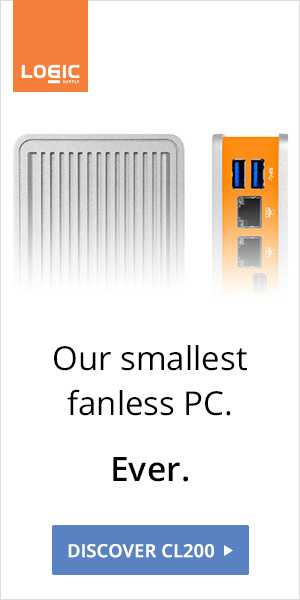 Fanless juggernauts like Nofan CR-95C or SilverStone HE02 will look amazing behind the 5mm tempered glass side panel, and convection will be simply perfect.